Rokpa Support Network (RSN) is responsible for the charitable work of the ROKPA Trust in Zimbabwe. We primarily work in the field of disability and vulnerability, supporting families with disabled children through our network of committed staff and volunteers. Our activities are centred in the high density suburbs and squatter camps in and around Harare. We also support people living with HIV and other vulnerable people without other support systems. 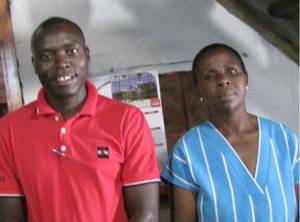 Wiseman Muganiri and Winnie Mtapure are running the ROKPA projects in Zimbabwe.